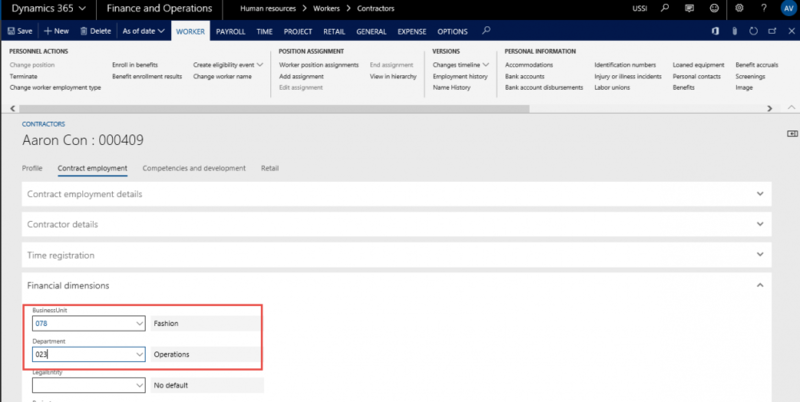 *This section details out the how and from where the dimensions default on the transactions. These defaulted dimensions can be modified at the transaction level. The primary source defined for the posting type against the dimension name will be the dimension that will default on that transaction. For example – on the Hour transaction for the dimension name Business Unit, if the Primary source is defined as Worker, then the business unit defined on the worker will default on the hour journal. When the primary source is blank and if there is an alternative source defined, then that would be considered for defaulting the dimension value on the hour journal. 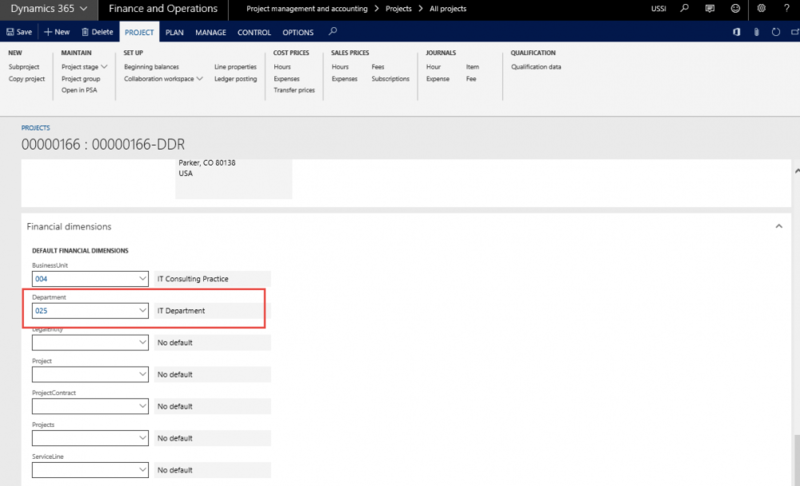 Here below, Department “025” dimensions set for the projects “00000166”. Here below, Business unit “078” dimensions set for Worker “Aaron Con”. Dimensions for business unit and Department default from the DDR Rule setup form. Dimensions for business unit and Department default from the DDR Rule setup form on the voucher too.